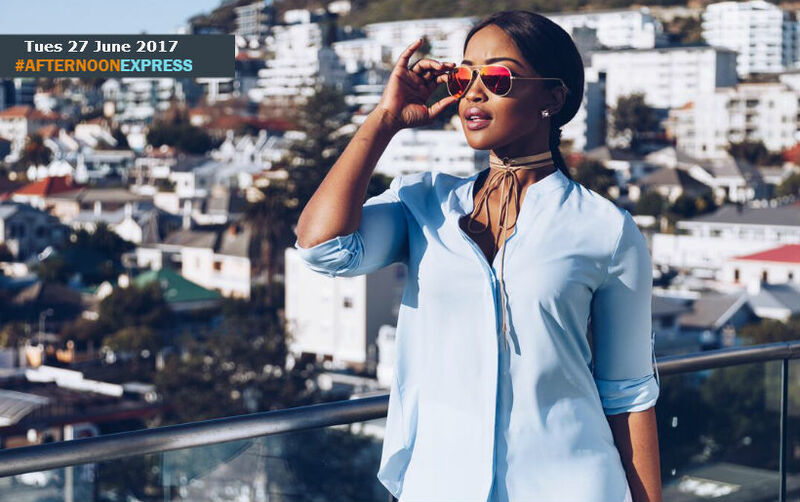 Multi-talented media personalty Lorna Maseko, joins us in the loft for our cook-a-long. The lovely Lorna is popularly known as a presenter on SABC3’s long running lifestyle magazine show Top Billing and is one of the most recognisable faces on television. Lorna has done it all, from being a ballerina, TV presenter to chef and businesswomen started out as a contracted ballet dancer at the Ballet Theatre Afrikan, before moving on to become the first black professional ballet dancer in South Africa at the South African Ballet Theatre. Even though dancing was her passion Lorna still wanted to explore her full potential and has become an inspiration to many across South Africa. After she left ballet, she became a presenter and producer of SABC Africa show called Afro Showbiz News. It was during that time that she entered Top Billing’s first Presenter Search and made the Top 10 but never won. Lorna is also an accomplished MC, having hosted events such as the Annual Vukani Fashion Awards, The Massed Choir Festival as well as giving motivational talks to under-privileged girls. Which would eventually lead to her becoming a the great Top Billing presenter that she is today. Lorna is also an accomplished chef with such things as her ‘Cooking with Lorna’ and more recently her own cooking show, The Hostess on SABC 3. Lorna also recently acquired her own restaurant, having joined the Bread Basket franchise. Is the anything that she cant do?